Nowadays it’s quite difficult to imagine a business without a website. Every entrepreneur or business owner understands the importance of having a website in the 21st century. More and more people look for information about products and services on the internet. It’s understandable that a small business owner, freelancer or entrepreneur does not have the required time and/or knowledge to create a good-looking website. Therefore there are specific website building tools that help small business owners to design and create a website. In this article we are going to introduce you to 10 website creator tools and list their advantages and disadvantages. It hopefully helps you to decide which website building tool is the best and most suitable for you. 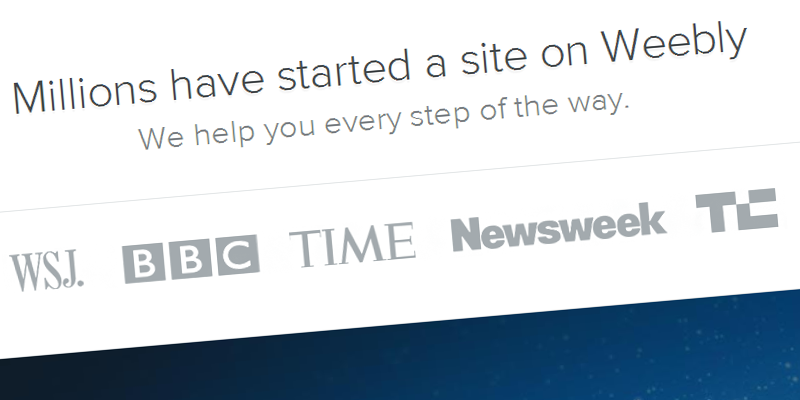 Webs is a great website building tool for small businesses and entrepreneurs. As well, it’s for those who want to build communities because Webs offers membership sites. The membership is allowed to be created directly on the website. Members can sign up, create and edit profiles and participate in community activities. For the owners Webs allows them to manage their members, send out emails to group members etc. Webs offers four different plans ranging from $0/month to $16,67/month. The Free plan offers 5 web store items, 0.5 GB bandwidth, 40 MB web storage and it is worth to know that the mobile version comes with ads. The most expensive PRO plan offers 15 emails, 100 GB bandwidth, 5 GB web storage, unlimited high quality video storage, $100 Free Goolge Ads and $50 Free Facebook Ads credit. 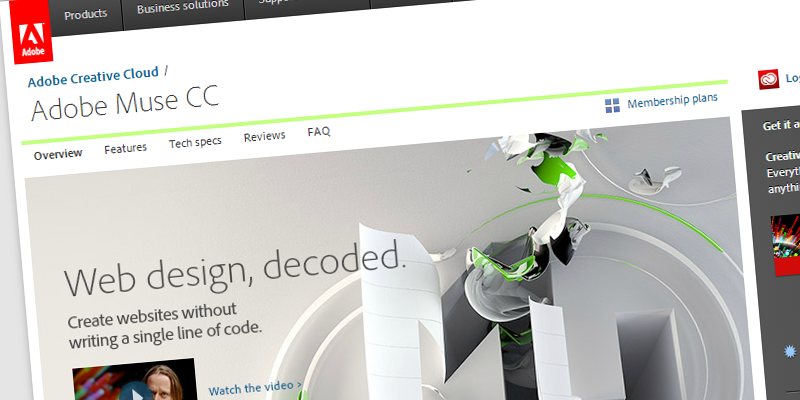 Adobe Muse is a great web tool for graphic designers and for those who are already used to using other Adobe products. It’s one of these products that gives you loads of opportunities but is not easy to use. Adobe Muse allows you to create the website from scratch which is great because most of the other website building tools don’t allow that. However, if you want to use already ready to use templates Adobe Muse is not the right choice for you. Adobe Muse offers three plans ranging from $0/month to $49.99/month. The free creative cloud membership offers a 30 day trial with limited access to services and 2 GB of cloud storage. The most expensive – creative cloud complete plan for individuals costs $49.99 and offers full versions of other desktop application such as Adobe Photoshop, Illustrator, Acrobat and more, full access to Adobe Muse services, 20 GB of cloud storage and it requires an annual commitment. Jimdo is a great website builder for those who want to create an online shop. It is very easy to use and has great features. It comes with standard layouts but has a flexible style editor. Jimdo has a strong e-commerce editor because it allows you to manage everything that you will need: Confirmation emails, order processing, shipping costs etc. 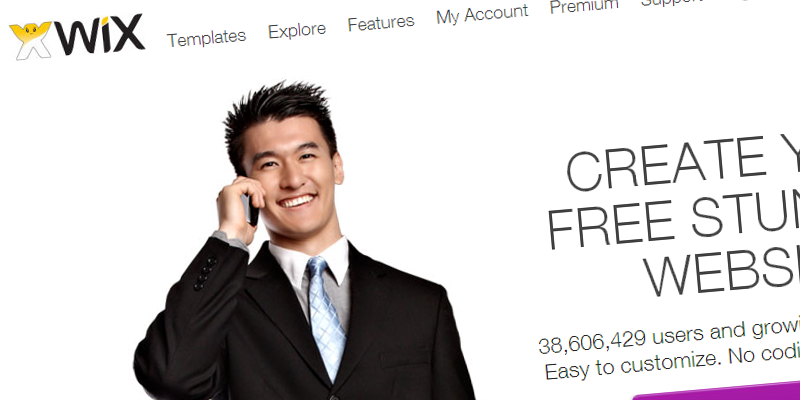 They offer three plans: JimdoFree ($0/year), JimdoPro ($90/year), and JimdoBusiness ( $240/year). The JimdoFree account offers 500 MB of storage, 1 password protection section, a PayPal payment option for the store, 5 store items etc. whereas JimdoBusiness offers 2 domains, 20 email accounts, unlimited password protection areas, unlimited store items, discount codes and much more. 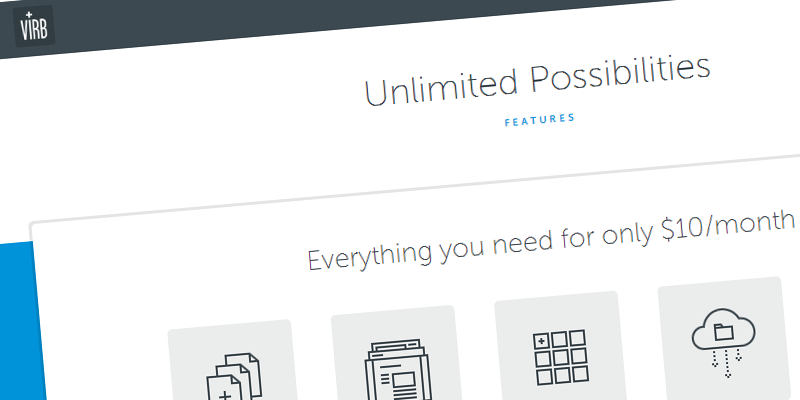 Squarespace is currently one of the easiest and most complete web builder tools out there. 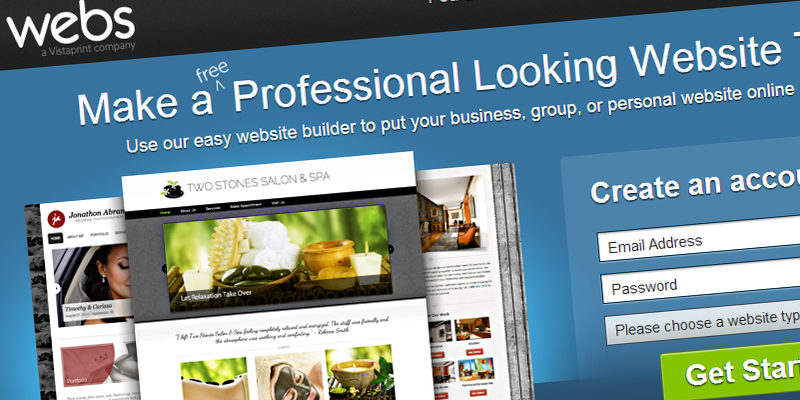 It’s a great web builder tool for blogs and portfolio sites. Squarespace allows you to change pretty much everything and it seems to work quickly and satisfying. It offers a very good image editor that allows you to put pictures into light-boxes, edit, crop etc. Squarespace offers three plans starting from $8/month to $24/month. The cheapest standard plan offers 20 pages, 500 GB bandwidth, 2 GB storage, 2 contributors, a mobile website and 24/7 support whereas the most expensive Business plan offers unlimited pages, bandwidth, storage, contributors, fully integrated e-commerce with no transaction fees, a mobile store, inventory tracking etc. 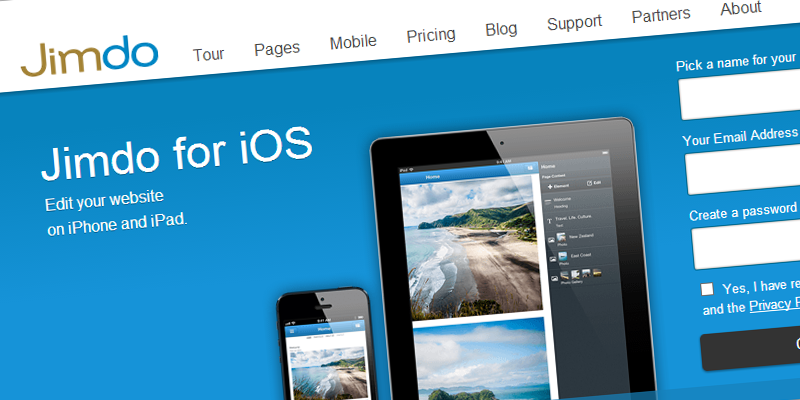 Weebly is another great web builder tool. Together with Squarespace they seem to be the two best and the easiest-to-use web creator tools currently on the market. Weebly is good for both blogs and business websites. The interface is easy to use and every button seems to have a reason. When building a website with Weebly it feels that there is nothing in-between. They don’t offer e-commerce at the moment but they seem to work on it and might release it soon. Weebly offers three plans at the moment: Free for $0/month, Starter for $4/month and Pro for $8/month. 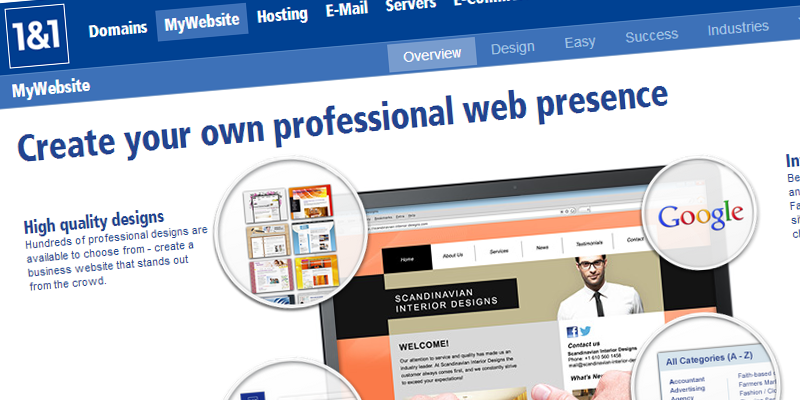 They say that the Free plan is suitable for anyone who wants to create an own high-style website whereas the Pro plan is for those who want the most powerful and professional features. 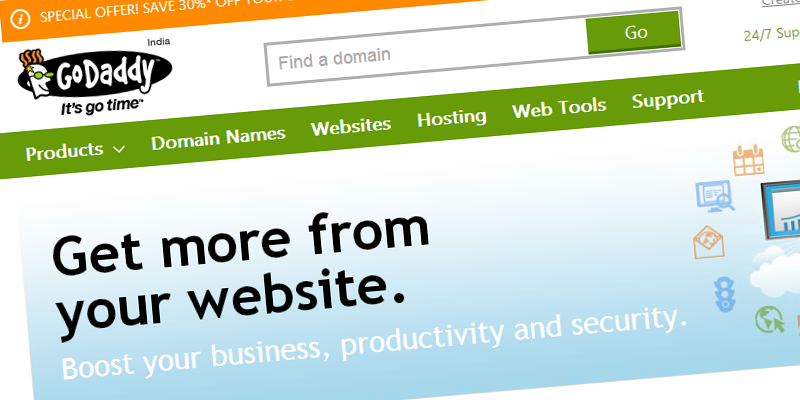 GoDaddy definitely offers one of the most well-known website builder tools. But is it good? Well, not that good according to a lot of people. GoDaddy doesn’t seem to be up-to-date and their website builder is quite complicated to navigate because wherever you go they just try to sell and up-sell you something. They offer many functions within the website builder which is great but the tool seems to be very complicated to use. GoDaddy currently offers 3 plans that range from just $1/month to $7.49/month. The most simple Personal plan gives you 1 free domain, 50 web design themes, unlimited pages, 1 GB disk space, 150 GB bandwidth whereas the most expensive Business Plus plan offers you 300 business and personal themes, 50 GB disk space, 1000 GB bandwidth, 10 business email addresses, mobile site, a SSL certificate etc. At the moment Wix offers 4 different plans for a monthly plan ranging from $4.08/month to $16.17/month. The most basic plan Connect Domain offers 500 MB storage and 1 GB bandwidth, the mobile website version comes with ads. 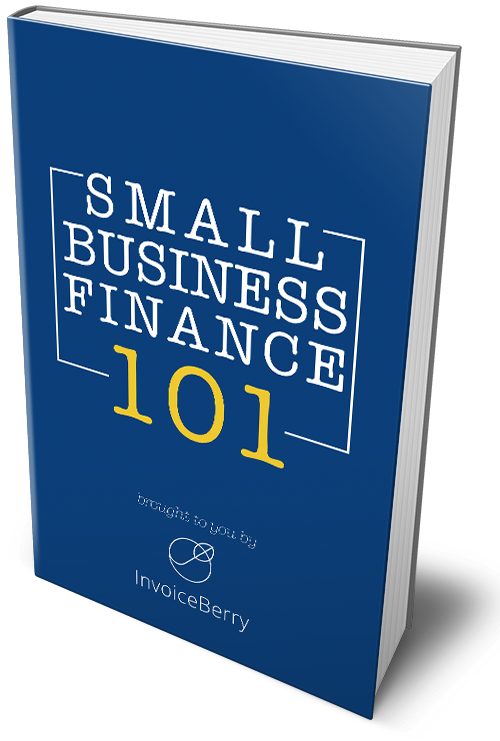 The most expensive plan that is ideal for small businesses is called eCommerce and offers 20 GB of storage and 10 GB of bandwidth, shopping cart and it’s ad-free. 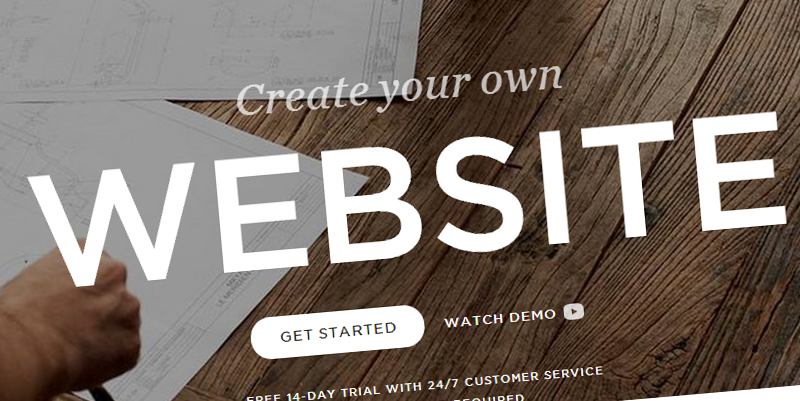 Virb is a website builder tool most suitable for creative people. It’s a great tool for photographers and videographers. It is stylish and up-to-date. Virb is not very flexible but that’s their strategy and part of their philosophy. Virb gives you an easy-to-use interface but less flexibility. They are partnered up with “BigCartel” which is an artist-specific eCommerce provider. Their strategy is very simple. Virb charges everyone only $10/month and there are no other pricing plans. 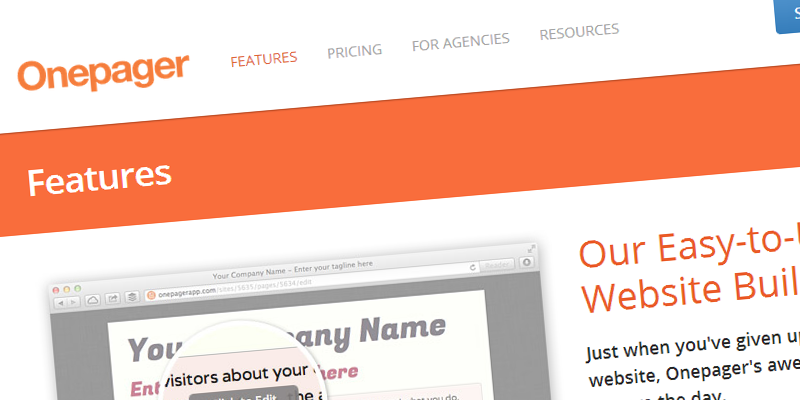 Onepager is a great website builder tool for simple small businesses. They have a philosophy that it’s better to do less but well. Onepager believes that website building shouldn’t be complicated and that’s what they tried to implement when they designed their service. The pricing seems to be ranging from $8/month to $199/month. The simplest Starter package gives you 1 website, 1 newsletter and only email support. The most expensive Agency package gives you 150 websites, 150 additional users, unlimited newsletter and priority support. 1and1 is a large well-known corporate company. Most people end up using 1and1 because they don’t know about all the other options in the market. The 1and1 website creator is actually an earlier version of Jimdo. So if you like 1and1 it is worth to check out the Jimdo website builder tool too. 1and1 offers 175+ industry specific design templates but no style options. It has very good SEO settings. 1and1 currently offers 3 plans ranging from $9.99/month to $49.99/month. The cheapest plan offers a maximum of 50 products and 5 categories and 5 GB of web space. The most expensive plan gives you 20,000 products and 2000 categories, inventory management and 80 GB web space.